The LED Jobsite is a completely new way to think about jobsite lighting. 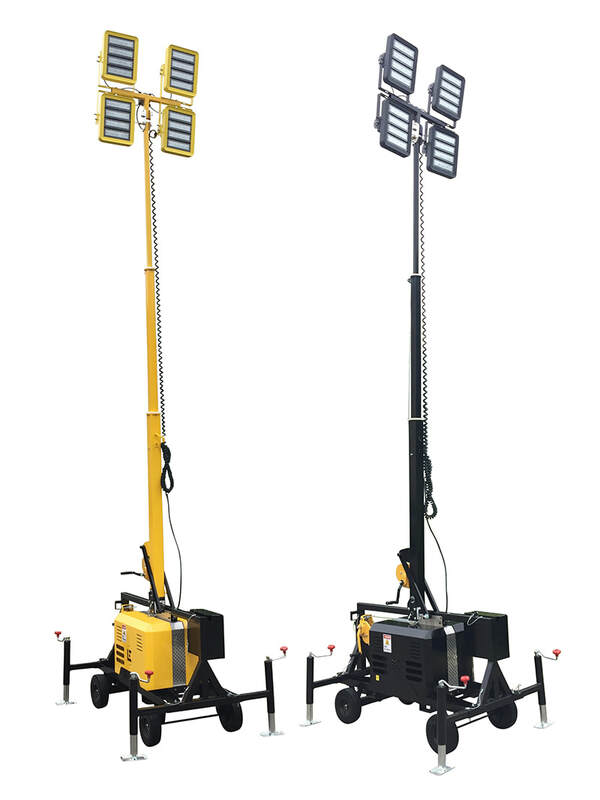 Forget bulb-based string lights and highbays, the LED Jobsite brings state-of-the-art LED lights that save money, are easier to install, and change the game on lighting up jobsites. Simply replacing your existing lights with retrofit LED bulbs is not efficient or effective. From area and room lighting to crane and pit lighting, the LED Jobsite is a purpose-built solution for all of your temporary lighting requirements. ​The Beacon LED Tower with two x 200W high-efficiency LED light heads. Equivalent to a two x 1000W metal halide light tower. ​Our most popular model, this is the Beacon LED Tower with four x 200W high-efficiency LED light heads. ​Equivalent to a four x 1000W metal halide light tower. 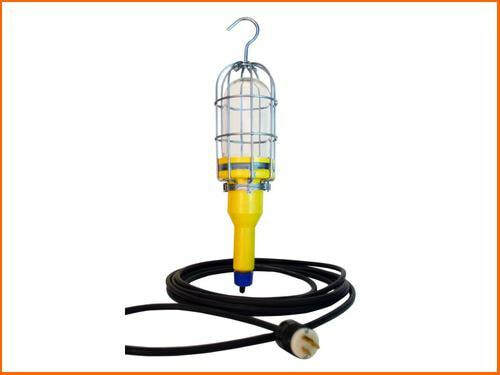 ​LED Crane/Pit LightUse on cranes, pits and wherever else extremely large areas need to be lit. ​Use in large areas, and core & shell work above 17' high. This light focuses it's beam down towards the ground, so is best used in high-ceiling areas. ​Part number: LE-HB150LED-25P25C comes with 50' total cord, triple outlet 5-15C daisy-chain and 5-15P plug. ​Use in medium-sized areas. This light sends its beam down and to the sides, so is best used in regular height ceiling areas. Space 25' apart for proper OSHA standards adherence for temporary lighting levels in a construction site. 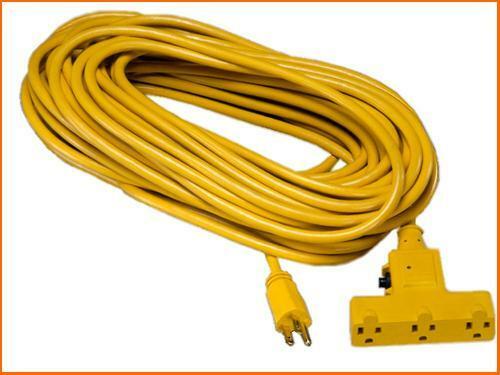 Part number: LE360LEDL-13P12C comes with 25' total cord, triple outlet 5-15C daisy-chain and 5-15P plug. ​Use in hallways, stairwells, and small areas. This light sends its beam down and to the sides, so is best used in regular height ceiling areas. ​We are really honored to have been presented Rental Equipment Register's (RER) 2017 Innovative Product Award for light towers. The award recognizes the innovation that we have built into the Beacon LED Tower as the first LED lighting company to build a light tower. We have portable LED lights that outperform their bulb-based predecessors. 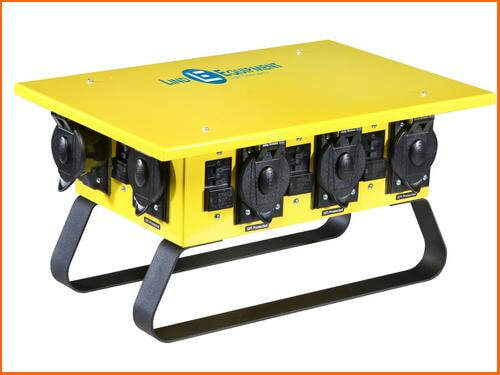 When you need to get a lot of power to your workers safely and effectively, temporary power distribution units are what you need. ​All-weather rated, multiple types of outlets, and protected by GFCIs, these units can bring power to any place you need it. ​Static electricity is a constant problem in many facilities with hazardous locations. Static buildup can lead to explosions, fires, property damage, and injury to personnel. 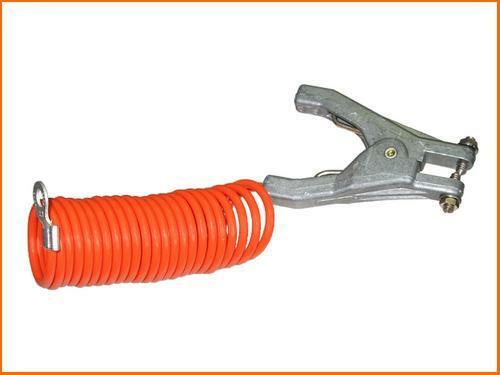 Whether you are grounding drums, tanker-trucks, or aircraft, we have the clamps, cables, and reels to fit all your static bonding and grounding needs. We can provide helpful information on how to properly drain static electricity from equipment. ​Check out our Static Bonding and Grounding Primer. ​Eliminate the problems associated with power cords lying on the floor where they can become tangled, damaged, or act as a tripping hazard for personnel. 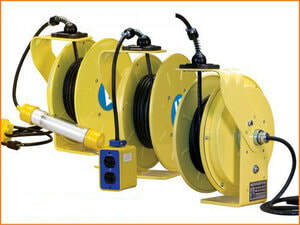 Lind offers a variety of automatic and manual wind reels with a wide range of attachments to meet your needs. Many of our reels can be custom configured to your specifications. Our line of circuit breaker protected extension cords features a 15 amp circuit breaker that can be reset right in the outlet head. The breaker protects the cord from equipment overload, which can cause electrical fires. We offer both a triple-outlet T-head and a single outlet model.